A young girl who possesses the power of telekinesis accidentally causes her father’s death after a family dispute at Crystal Lake. 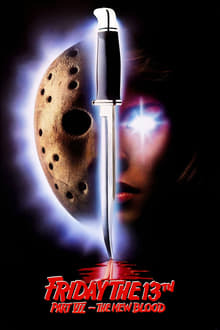 Years later, when a doctor tries to exploit her abilities, her power becomes a hellish curse, and she unwittingly unchains the merciless, bloodthirsty Jason Voorhees from his watery grave. Continuing after the first “Subspecies”, a woman who has just become a vampire tries to escape the evil vampire, Radu, who seeks her as his love interest. But she has taken the vampire family’s bloodstone, and now Radu must find her to get it back. While her sister comes to Romania to save her soul. It might be to late….